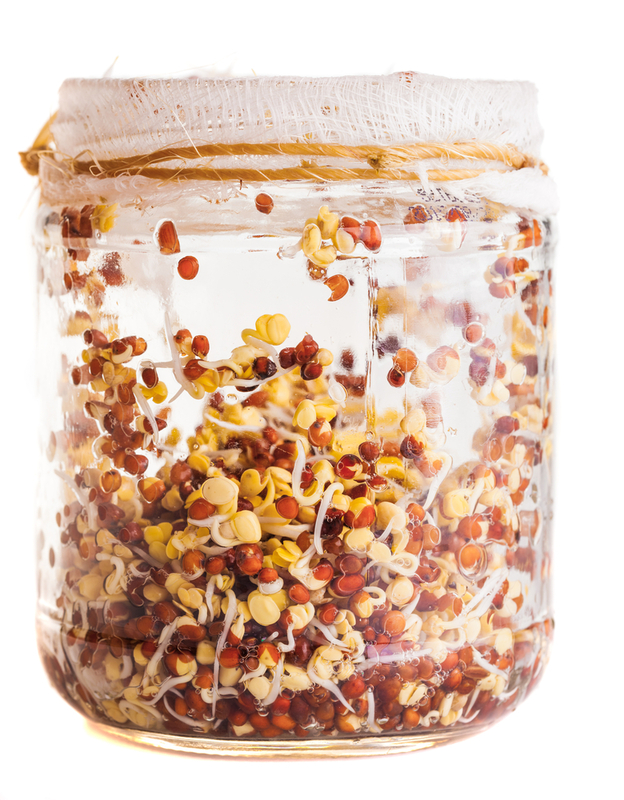 Growing sprouts is easy. There’s really no excuse not to have a few jars, filled with beautiful unravelling seedlings, on your kitchen worktop at all times. The health benefits are many and the effort required is minimal! All you’ll need is an old jar, an elastic band and a little bit of cheese-cloth (or any porous fabric), and some seeds! Buy specific sprouting seeds as you’ll know that these haven’t been treated with any unsavoury chemicals to encourage germination. Broccoli taste…well, like broccoli. Very good for you. Mung Bean tastes…sweet and crunchy. It really couldn’t be simpler! But first a quick word of warning: sprouts are particularly susceptible to mould. If they smell off (and you will know) then don’t risk it and chuck them. The smell will be pungent and overpowering. That said, people often mistake little root hairs for mould. If, after you wash them, the hairs have clung back to the stem, then it’s likely not mould. Wash the jar with hot water and soap. You’ll ensure any bacteria has been eradicated. Soak the seeds (in the jar) in cold water overnight (or for 12 hours). In the morning, or after the soak, drain the water, refill immediately and drain it again (rinse). Place the jar (without any water in it) in an area with indirect light. Repeat this rinsing process twice a day or at 8/12 hour intervals. Make sure the water has drained fully before setting it aside. You can, if you prefer, leave the jar upturned in a bowl. 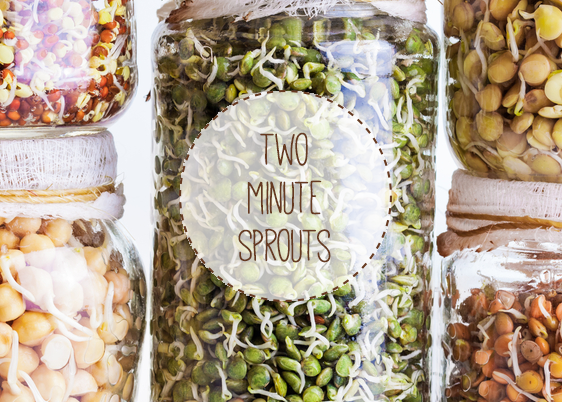 Seeds will vary, but the sprouts will usually be ready to eat after 4-6 days.